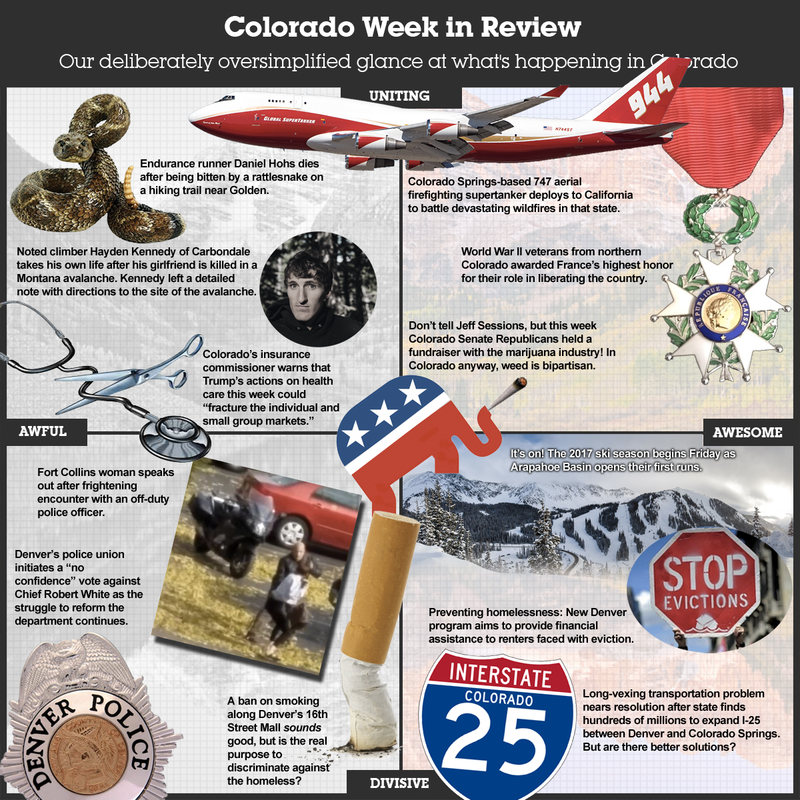 NOTE: In response to reader suggestions, we’ve changed the Week In Review format. 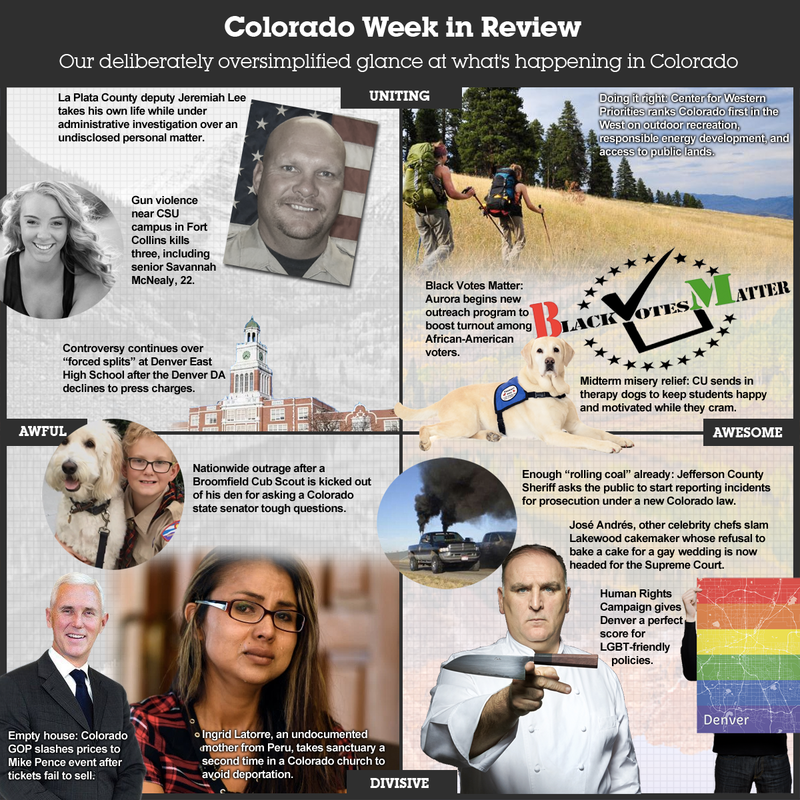 Instead of graphing the week’s stories from “high brow” to “low brow,” we’ve changed that axis in the Week in Review to plot from “uniting” to “divisive.” We hope readers find this change to be useful. 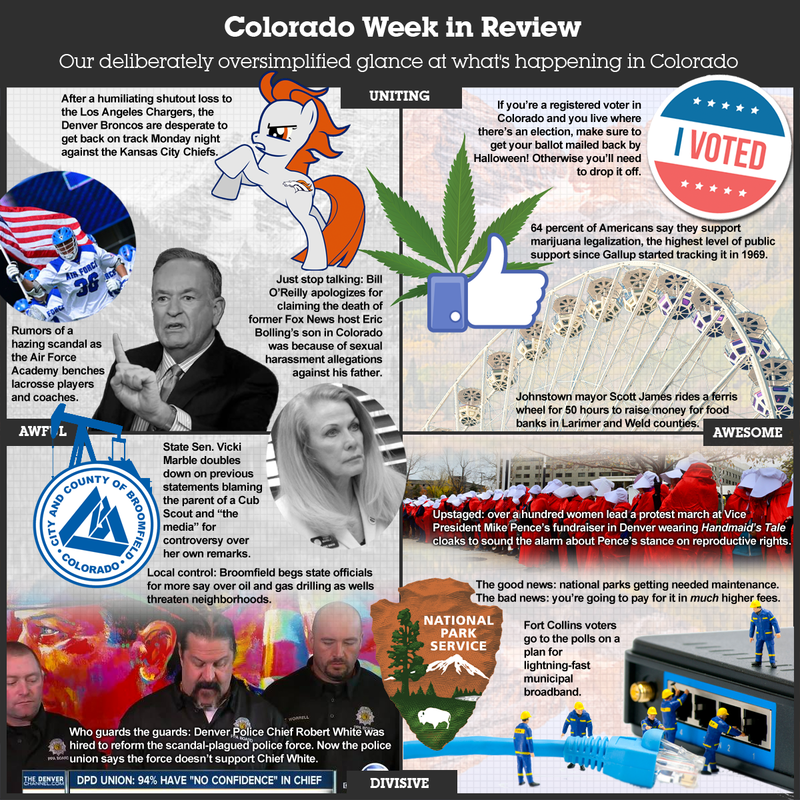 Please continue to provide feedback at info@progressnowcolorado.org on ways the Week in Review can be improved. 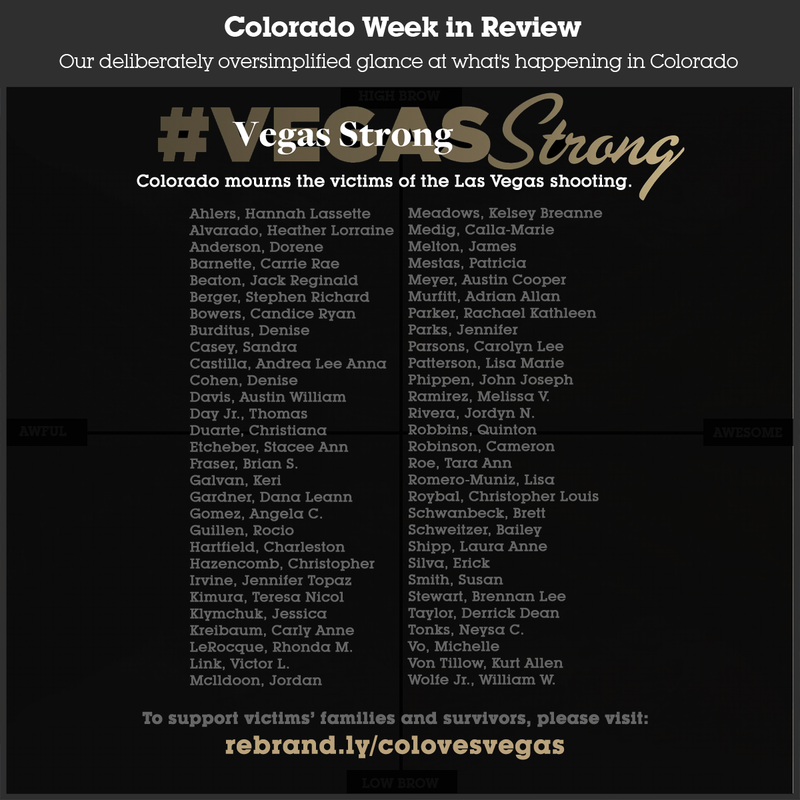 To support victims’ families and survivors of the Las Vegas shooting, click here.